Tremendous potential for retail, commercial, or residential development. 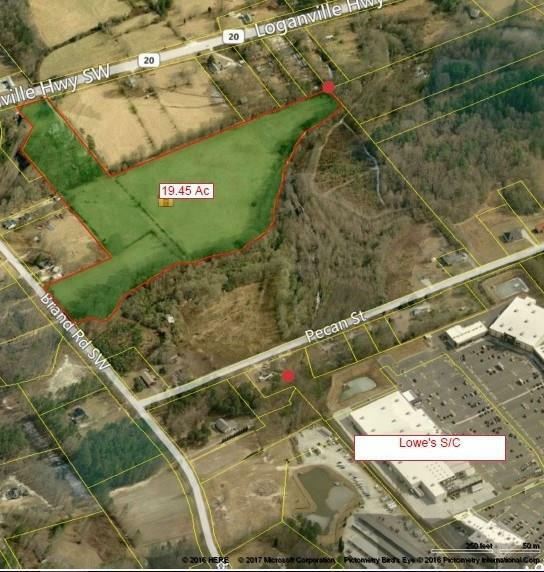 19.45 acres with over 400' of road frontage - access on GA Hwy 20 and Brand Rd. This property surrounds the corner tract. All utilities available. 90% of property is inside Loganville City Limits. Development is about to explode from Loganville to Grayson along Hwy 20 corridor. This double frontage property will be key to developing the corner of GA Hwy 20 and Brand Rd.